Community Blast Provided and Sponsored by CIRRUS SOFT. This information was provided by vendor for community education on the CIRRUS SOFT add-ins to improve productivity and user adoption. No official review was performed by Vlad Catrinescu. We all know that to get the most from any technology simplicity, ease of use and added value are the key ingredients. 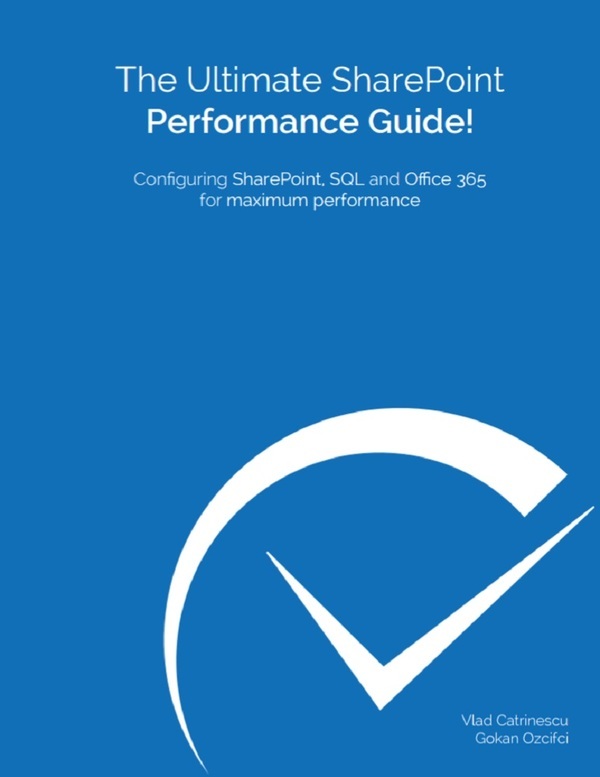 With the SharePoint ShortUrl (https://sharepointshorturl.com) and the SharePoint Document Merge (https://sharepointdocumentmerge.com) Add-ins this is delivered! 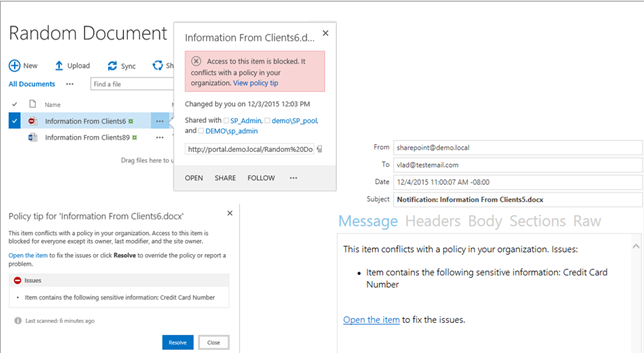 Create custom named shortened hyperlinks from within SharePoint. ShortUrl Click Analytics / Tracking. Very easy to install (Lightweight solution file activated to Web Applications and Sites). ShortUrl’s remain the same even if an items properties are changed (such as a document name is changed). Priority feature to redirect old bookmark links. Feature packed (choose as required for your environment). 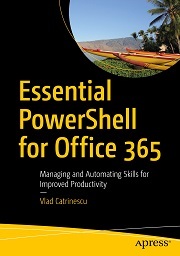 Increase productivity and user adoption! SharePoint Online (Add-in), SharePoint 2013, 2010, 2007 (32 & 64 bit systems). SharePoint Document Merge is the simple, fast and clean way to merge SharePoint list data into predefined Word, Excel and PowerPoint document templates with NO CODE! Also merge multiple Word Documents into 1 Single Word Document from Document Libraries. 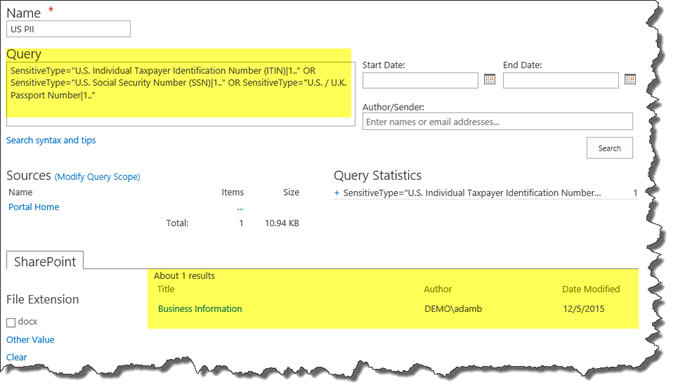 Save data entry time and increase productivity by merging SharePoint list data. Merge multiple Word Documents into 1 Single Word Document from a Document Library (Choose to merge multiple Word documents to 1 single document). Versioning Aware! SharePoint Online (Add-in), SharePoint 2013, 2010. CIRRUS SOFT LTD is the UK based Software Consultancy that provides superior experience and expertise in Software, Web and Cloud related technologies. We work with our clients to build the most intuitive, powerful and scalable Software solutions designed to maximise productivity and streamline business processes. At CIRRUS SOFT LTD, we believe that we can achieve more together. Our solutions and approach is largely driven by the business benefits for our clients and we ensure that we deliver within budget and on time. 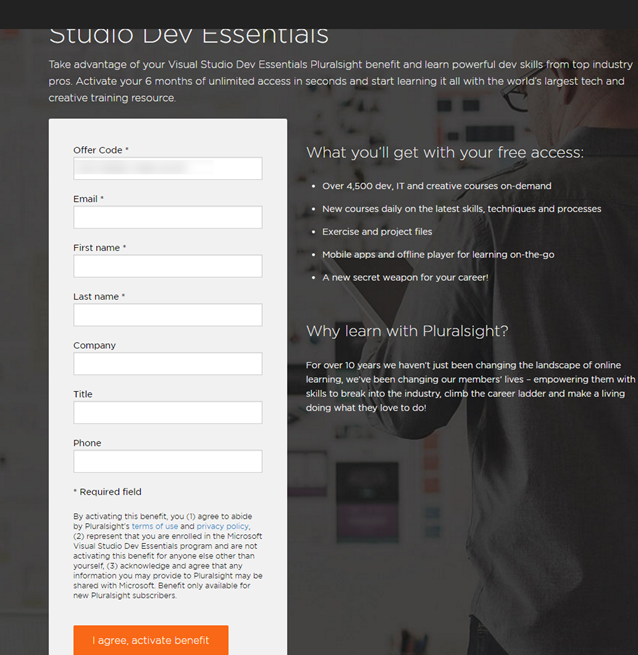 As many of you know, Pluralsight is one, if not the best source of on demand video learning. 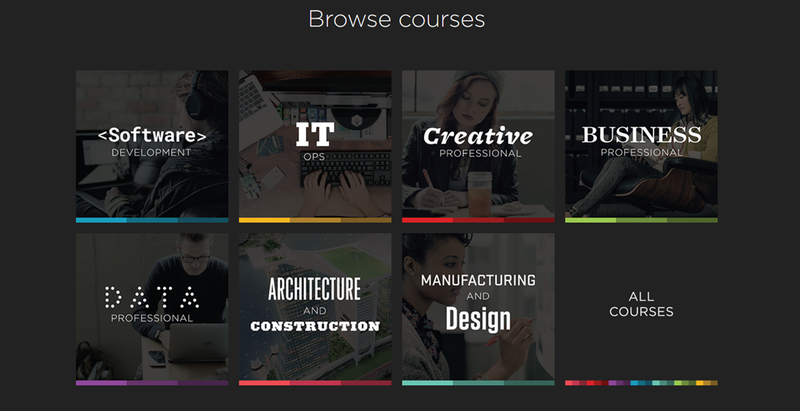 With over 4500 courses, and expert instructors it’s hard not to see the value of having access to such a great library. 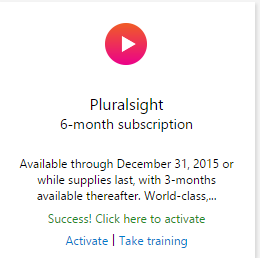 I am glad to tell you that until December 31st, You can get a free 6 months subscription to the full Pluralsight Library in order to learn those skills in the new year! If you see this blog post after December 31st , you should still be able to get a 3 month subscription! EDIT: Since we’re now past December 31st 2015, the post still works but you will get a 3 month subscription, which is still awesome! Before getting DLP to work, there are some pre-requisites, but don’t worry they aren’t big. Your Users need to have an e-mail address in their profile. For this example, I will put those two files in SharePoint. File one contains A Social Security Number as well as Tax Information. File two is a list of credit cards from my consumers. You can download both files on my OneDrive here. Make sure to upload all your files in SharePoint, and start a crawl. 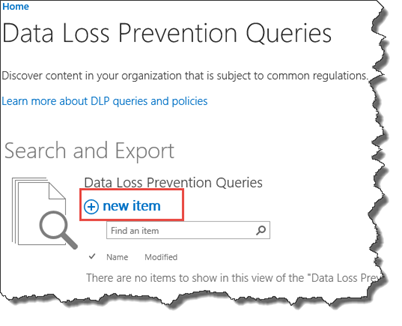 To make sure they are searchable, do a search for them in a standard SharePoint Search box. If those four pre-requisites do not work properly, your DLP will not work! After your pre-requisites are done, the first thing we need to do is create two site collections. The first one is the Compliance Policy Center. Simply create a new Site Collection and give it that template, which is under the Enterprise Tab. The second one we have to create is an eDiscovery Center. This template is also under the Enterprise tab. A popup window will show to ask us what kind of DLP Query we want to test. 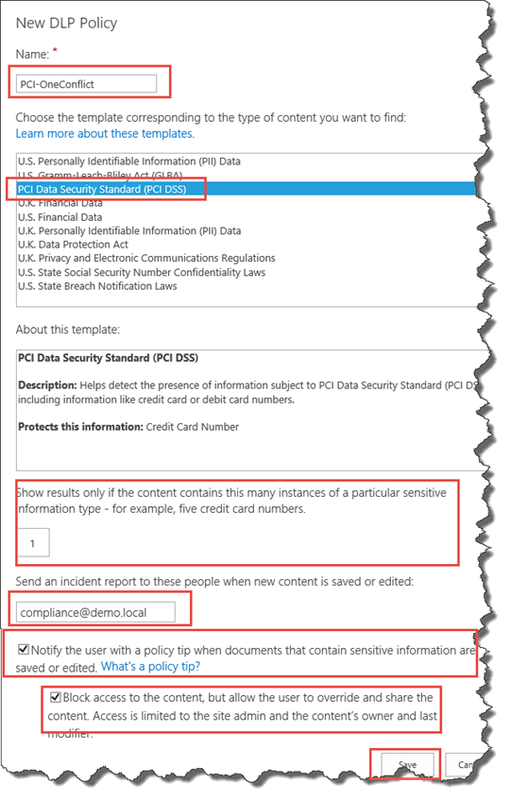 For this example, I will select PCI Data Security Standard. If you look at the description, this will find Credit Card Numbers, and since one of my demo files had a credit inside, it should work. NOTE: If you don’t have a file with credit cards, this won’t work. If you only have Social Security Numbers, choose US Personally Identifiable Information. Afterwards, we have the option to show results, only if a certain “violation” is committed a certain number of times. Since we only want to test our system, we will put “1” in that box. Afterwards click on “Next“. 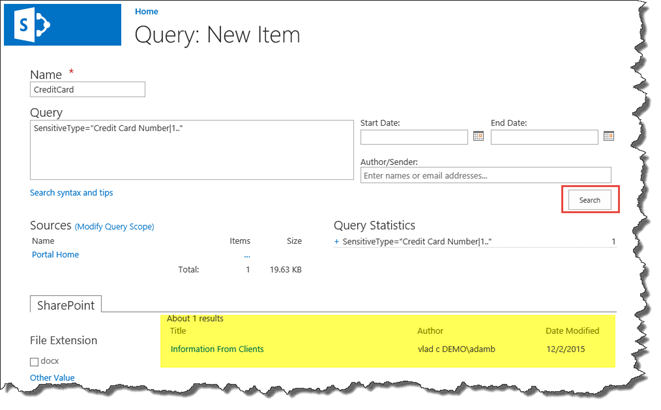 After we click next, a New “Query Item” window will open, and the Query will already be pre-created for us. First thing we have to do is Give it a Name, and afterwards click on Modify Query Scope. Add the Site Collection on which you uploaded your documents earlier. In my case it was https://portal.demo.local . Afterwards click on OK. If you put the Root Site Collection, you will get the warning that the search will happen in all the Web Application which works for us! Simply Click OK! After that is done, Click the Search Button, and you should have at least one result, the file we just uploaded that contains Credit Card Information. If you uploaded multiple documents and want to test them all, make another DLP Query on that item. 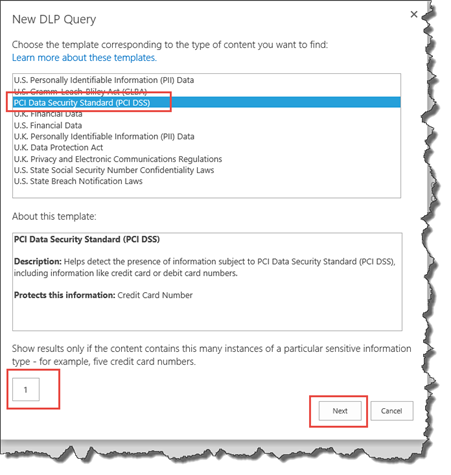 In my case, I also had another document with a Social Security Number, so I created a new DLP Query looking for US Personally Identifiable Information. As you can see, the eDiscovery center was able to find my document. Afterwards, click on “Data Loss Prevention Policies” again. Then we will have a very similar screen as in the eDiscovery Center, except a few differences. 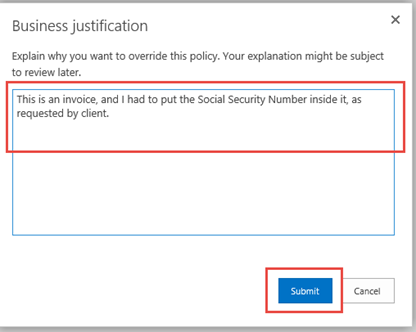 First thing first, enter the Name of your policy and select the type. I selected PCI Data Security Standard in order to find documents with credit cards. Afterwards, select how many conflicts there must be for this rule to take effect, I selected one. Until now the screen is pretty similar to eDiscovery, but that’s where it changes. 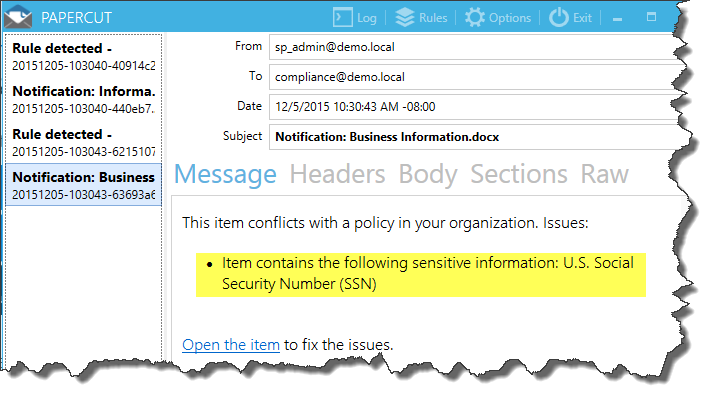 Enter an email address where a notification must be sent when there is a document in violation. In my case, I want to notify my compliance department, so I entered compliance@demo.local . We then have the choice, to enable or not the Policy Tip. 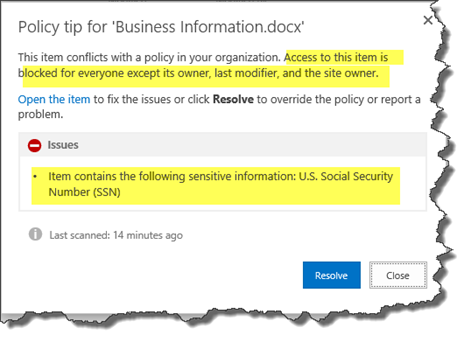 The Policy tip is what you saw in the first screenshot where, directly in SharePoint, the user is notified via a red popup that his document is violating certain rules. The other choice is do we want to block that document? As soon as the document is found, we can limit the access to Site Admins and the owner/editor of the document. No one else can then see the document. In my case, I selected both checkboxes and clicked save. Select the Policy you want to apply, and then click Save. 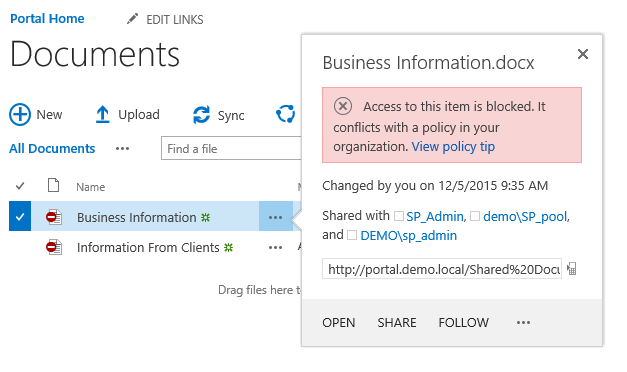 NOTE: In SharePoint 2016 Beta 2, it’s a 1 to 1 mapping between SC and Policies. 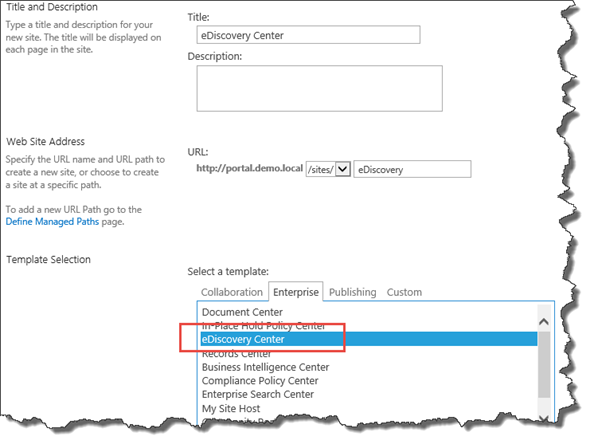 Meaning you cannot add multiple Site Collections in the same Assignment, and you cannot select multiple Policies in the same assignment. 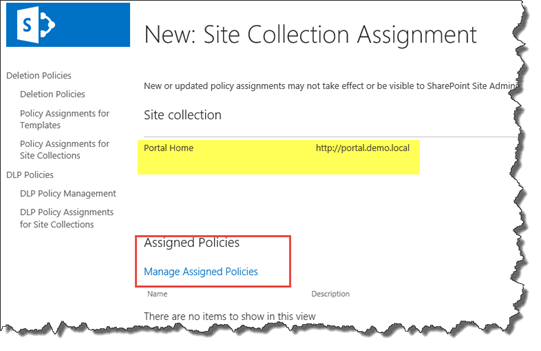 To apply two policies to the same Site Collection, create a new Site collection assignment! It might, or might not change in RTM. 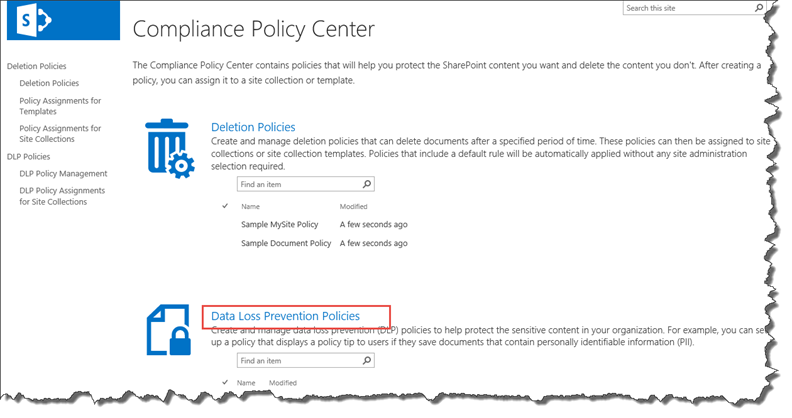 You will notice the Policy got assigned to the Site Collection now click Save. Now What? Well, it doesn’t happen right away! If you noticed at the top of the “New Policy Assignment” page, there was an information stating that, it might take up to 24 hours before you see the results. That is because, depending on the importance of your policy, it might take up to 24h to run! However, if you created “High Priority” rules like we just did (SSN, Credit Card), the timer job runs every 15 minutes. 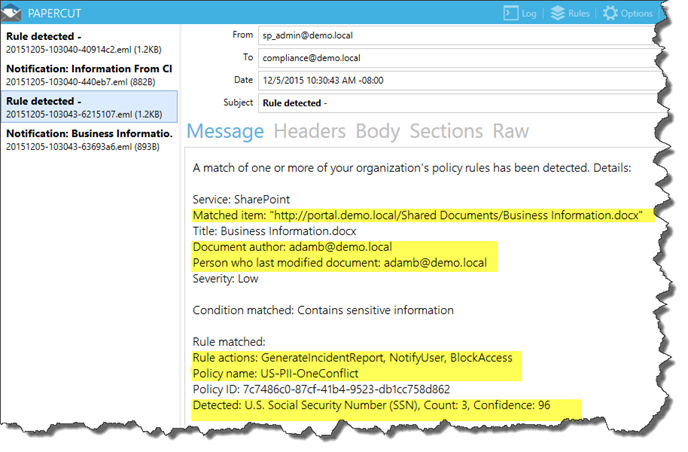 There is a bug in SharePoint 2016 Beta 2, where the email that should go to the user with subject “Notification: DocumentName.docx” goes to the email you defined in the Policy instead. Microsoft is aware of this bug and will be fixed by RTM. So let’s look at our notification, only for the SSN, the Credit Card one will be the same but different small details. The Administrator notification for the SSN Error. As you can see there is a lot of useful information and I highlighted some of it! Now that we see the Email Notifications, let’s look at the Policy Tips which personally, I find pretty cool! First thing that you will see is that The documents now have a “Stop” sign on them, showing something is wrong. 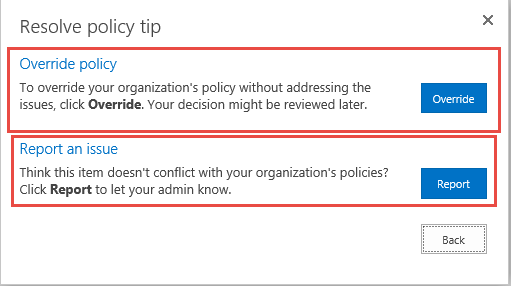 The Policy Tip shows us what is wrong with the item, as well as who has access to it now. As a User you have two choices, you either go in the document, edit the bad part or if you think it’s an error, you must click on Resolve. When you click on Resolve, You can either ask to Override the Policy, which means that you are aware, and its normal the data is in the document. The other choice Reporting, which means that you think the document is fine and shouldn’t trigger the policy. When you click Override, you are encouraged to provide a business justification. So I made up a justification and clicked Submit. I got the information that My response has been recorded, and that the Policy Tip has been resolved. The document is also not blocked anymore. 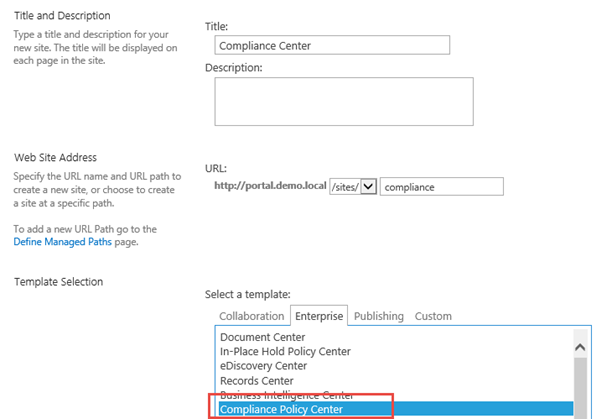 Note: In SharePoint 2016 Beta 2, I didn’t receive any notification information as the policy creator that someone said it was ok.
That is about it for configuring SharePoint 2016 DLP. 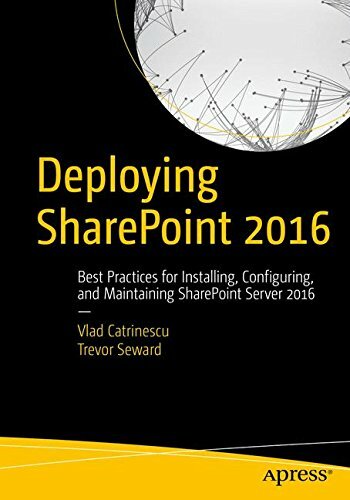 This post was written for SharePoint 2016 Beta 2, but I will update as needed when RTM comes out. If you have any questions or opinions, ask in the comments! Psconfiggui.exe – This program can’t start because api-ms-win-crt-heap-l1-1-0.dll is missing from your computer. Try reinstalling the program to fix this problem. Seems like a pretty easy fix, and in 80% of the cases this will work for you. If you manage to install it without errors, PSConfig should work for you with no problems. However, when I tried to install I had this error… The update didn’t apply to my computer. That left me with a lot of questions, since I was sure that I downloaded the Windows Server 2012 R2 patch. 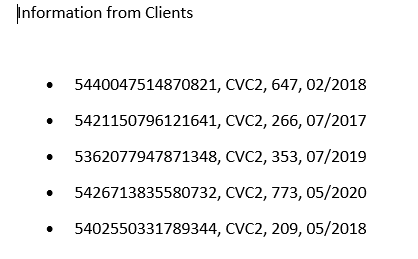 What I discovered is that the Windows 10 Universal C Runtime KB2999226, is dependent on a Windows Server 2012 R2 Cumulative Update package in KB2919355 . So, if you have the “The update is not applicable to your computer”, make sure to run Windows Update first, then download KB2919355 and do a full reboot. Afterwards, you will be able to install the Windows 10 Runtime, and everything will work properly. 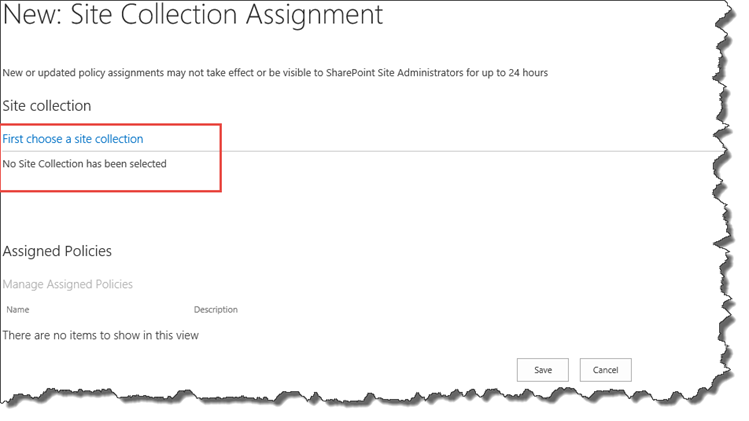 This post was written for SharePoint 2016 Beta 2, and prerequisites might change between now and then! I hope this saved you a few hours of searching on google and your update history! Don’t hesitate to drop a comment if this worked for you, and if you did something different!